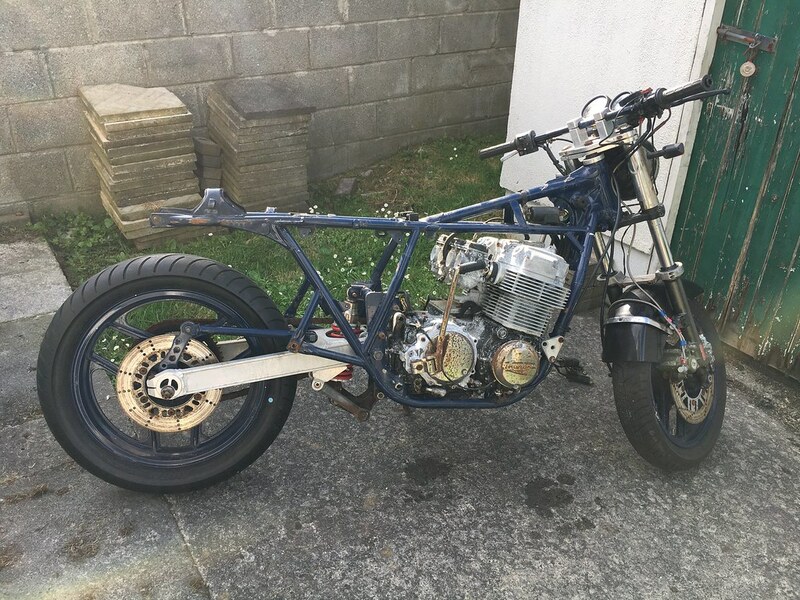 Honda CB750K Cafe Racer project about to start with a monoshock?? Long time browser of the forum but this is my first post. I have to say to all, some of the bikes showcased on this forum are amazing. Great inspiration. I picked up this bike earlier in the week. 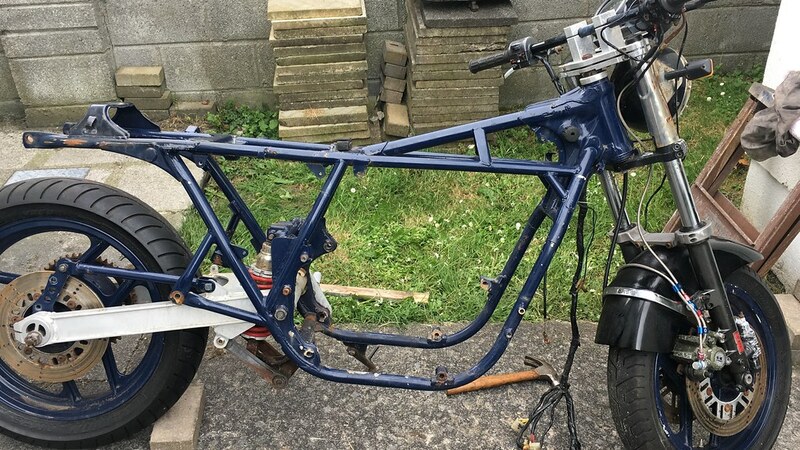 The engine is seized due to sitting up but as you can see someone had started to do some decent mods before it got pushed aside. 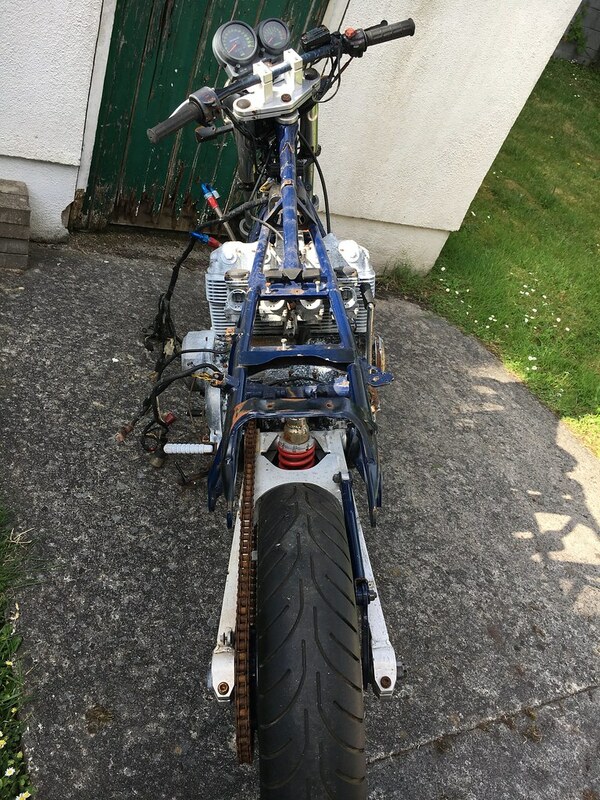 The front and rear end are off a Kawasaki GPZ 900 I'm told and the tank is from a CB900 (or is it standard does anyone know)? 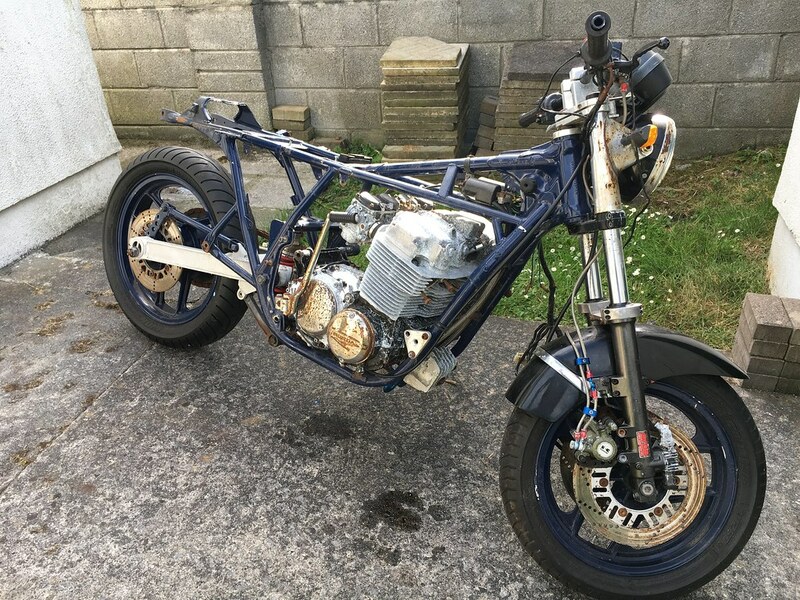 The engine will be getting a complete rip down and rebuilt and I suspect I will go for the Cognito Moto GSXR front end conversion but I have to say I do like the monoshock conversion that was done (bar the wheel used). 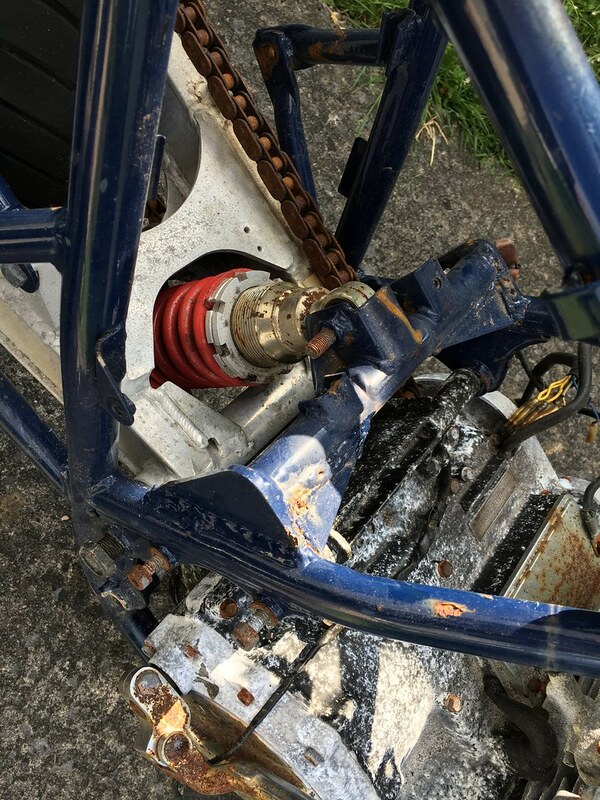 Love to hear what people think and their thoughts on the Monoshock / swingarm used. Hope to keep the thread updated with the progress as I go. 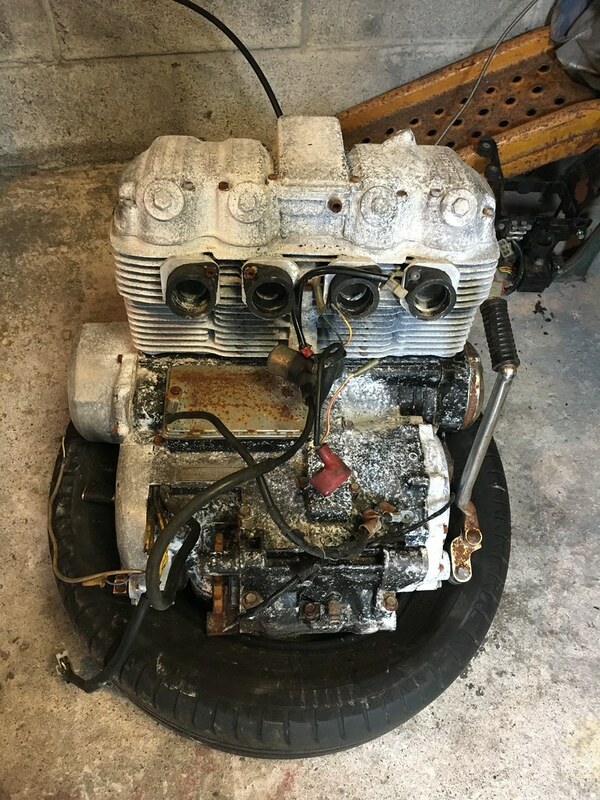 Re: Honda CB750K Cafe Racer project about to start with a monoshock?? 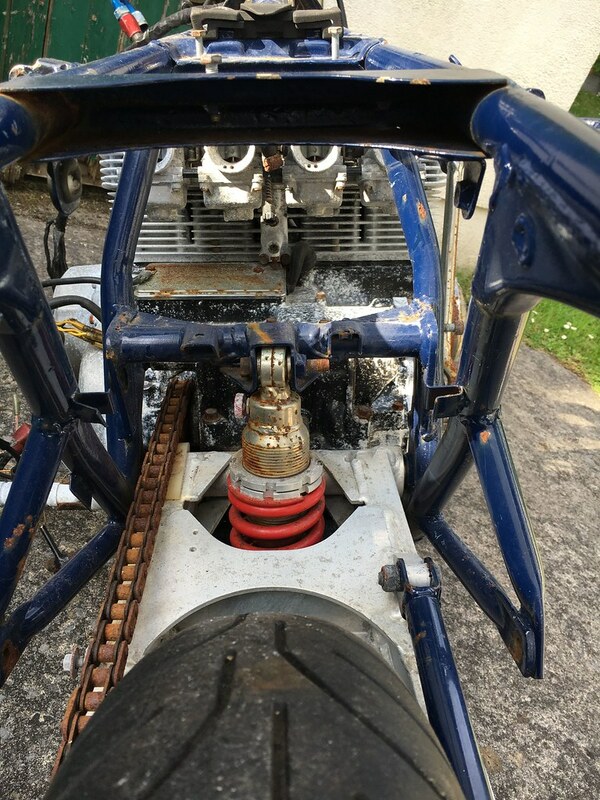 Managed to get the engine out yesterday. 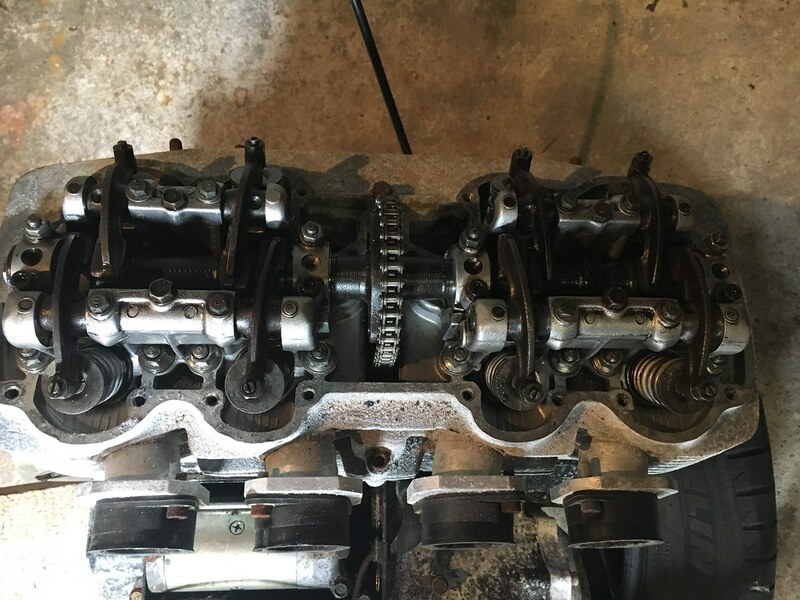 Now its time for an engine stripdown and rebuild. 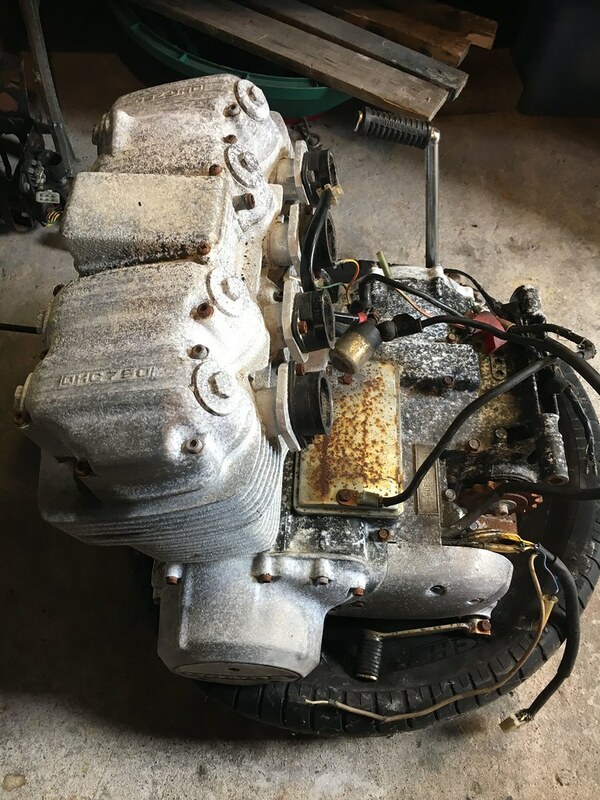 Holy crap, that motor looks toast. Is the aluminum broken down as bad as it looks? lemme guess... you live on a beach somewhere? Yes It was left outside too which didn't help. Picked it up cheap so hopefully the internals are not too bad. Haha, I thought it was foaming engine degreaser. Spoked wheels from a Zephyr? 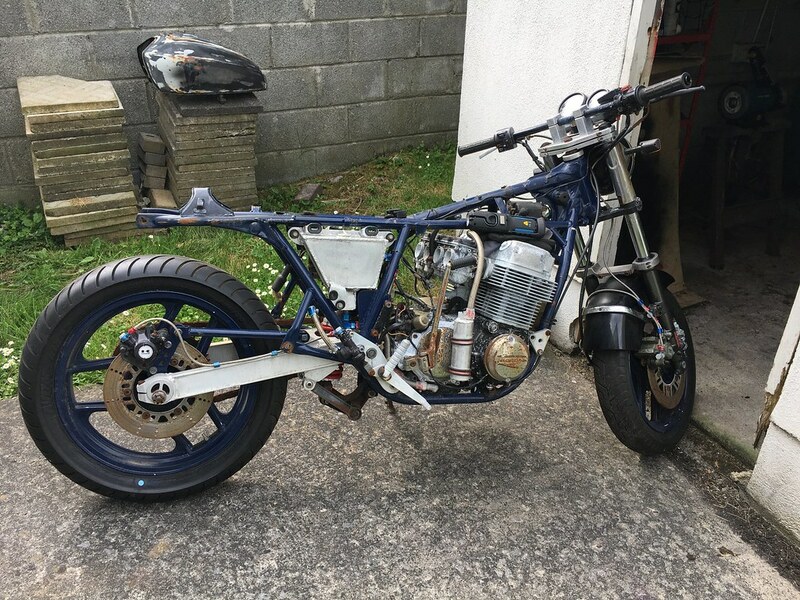 fix the old style forks and keep the 16" wheel for some wacky retro cool.